A friend of mine has plans to move about an hour away this summer. A few weeks ago she asked me to go visit some possible apartment complexes with her. As we visited and toured each place, we noticed how important the exterior was. We actually left one complex because it didn’t seem to be well maintained. When I received the pictures below from Renew Crew of Southwest Michigan, who provides fence and deck cleaning in Kalamazoo and the surrounding areas, the importance of exterior maintenance for a complex was perfectly illustrated. Ken and Julie Wuerfel of Renew Crew of Southwest Michigan met the property managers of a Kalamazoo apartment complex at their home show in March. Each apartment has its own deck off the back of the unit. While structurally sound, the decks had seen better days. The harsh Michigan elements had taken their toll and turned the once beautiful decks grey. The weathered decks, as a result, didn’t give the first impression that the apartment complex was looking for, so they had Renew Crew come and clean them. Last week, Renew Crew sent their team out to clean and protect the apartment decks. As you can see from the pictures, some of the decks are two or three stories high. While this can be an issue for some outdoor cleaning products, Renew Crew’s foam works incredibly well on vertical surfaces. 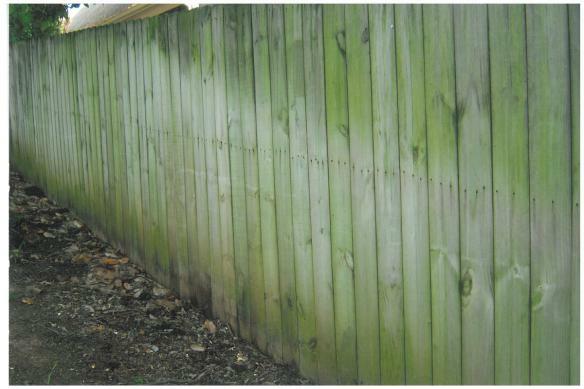 The normal harsh cleaners are liquid-based and drip down vertical posts quickly without working its way into the surface. 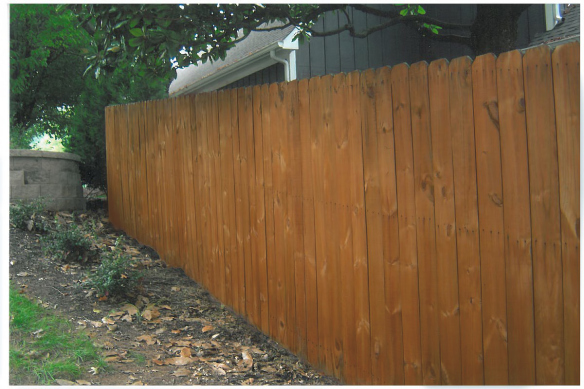 Our environmentally-friendly wood cleaning foam, however, clings and is able to penetrate deep into the wood. Once the foam had been applied, the decks were pressure washed to rinse away the now loose grey wood fibers and dirt that had been embedded in the surface. It’s during this step that viewers can really see the difference. To keep the wood deck looking great, the team applied a sealant and protectant to the deck a few days after the cleaning. Seeing the before and after, I would be much more impressed by the after picture if I were looking for a new place to live. Outdoor maintenance is imperative for apartment complexes and that doesn’t stop at the landscaping. When the complex looks great, it makes it more appealing to prospective tenants, but also shows those already living there that the property is cared for and well managed. If you have questions regarding outdoor cleaning and protecting, please contact your local Renew Crew. There is a beautiful college in my area that I love to walk around with my dog. A lake is the center point of the school. A small island sits in the middle of campus, connected by two wooden bridges. Over the years, I’ve noticed the wood turn grey and a light green from mold in a few places. For a school that takes great pride in its appearance, its bridges are in need of some TLC. 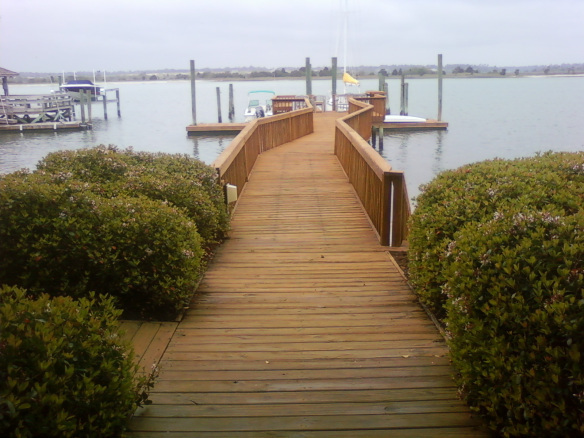 Just like any other exterior wood surface, wooden bridges need to be maintained regularly. Due to their close proximity to water in many places, they sometimes need to be cleaned and sealed more often than a deck. Take this example from our Johnson County location for example. This cart path bridge on a local golf course was in bad shape. Over time the wood weathered and turned grey. Additionally, the bridge got both foot and cart traffic, which embedded dirt in the surface. In the middle of such a gorgeous space, it stood out as sub-par (like what I did there?). Using our deck cleaning process, the Renew Crew of Johnson County team was able to bring the bridge back to its originally beautiful state. Since this bridge traverses a creek, the property owners were nervous about the products contaminating the water and killing any of the fish and animals that live within it. Most wood cleaning products do have harsh chemicals in them that could harm plants and animals, but ours don’t. Renew Crew’s proprietary wood cleaner and protectant is environmentally friendly and won’t damage or hurt plants and animals that may come in contact with it, making it perfect for cleaning bridges. The finished product looks great and leaves its surroundings as is. Decks, bridges, walkways, patios and other outdoor surfaces need to be regularly cleaned, especially on commercial properties. Commercial properties usually have more traffic than residential and thus the seals can wear away more quickly and the dirt can start to dig into the materials. If your property needs some attention, contact your local Renew Crew location. Last week I had the opportunity to spend some time with Renew Crew’s founder, Stan Krempges. We discussed the business and what makes it different than the other deck cleaning companies out there. While the environmentally friendly products and low pressure washing is a key part of the business, it was customer service that Stan really emphasized: Renew Crew cares about their customers. I don’t like having service companies in my house. To me, it’s a necessary evil. It’s probably because I’ve heard so many horror stories of salespeople taking advantage or contractors leaving things worse than when they arrived. Renew Crew doesn’t think that way. What insurance does the company carry? If your property is damaged of someone from their staff is injured, your homeowners insurance shouldn’t have to take on the cost. What is your guarantee? We want our customers happy and guarantee it. How long have you been in business? Expertise is important. Be wary of companies who haven’t been in business as long as their guarantee. Can you have some references? Any company who is proud of their customer service will have a list of customers for you to call and talk to. If you wouldn’t hire an attorney to fix your car or ask a fry cook to do your taxes, why would you hire anyone but a professional to work on your home and deck? People hire professionals to do what they are trained for, and we dedicate ourselves to being the ultimate professionals at pressure washing decks and patios. Most chemicals available off the shelf get the job done in the moment, but can cause damage to decks overtime. Additionally, these harsh agents can ruin nearby plant life, poison pets, or even harm your family. Hiring a company with a background in pressure washing ensures you have an experienced employee doing your cleaning, not just somebody with a pressure washer. They know what they’re doing, and know how to clean decks and driveways without damaging the concrete or nearby plant life. A standard power wash consists of blasting the wood so hard you blow the grey wood chunks right off it. Now you’ve got chunks missing from your deck, and it’s still no cleaner. A ReNew Clean is a more wholesome approach. We’re always looking for better ways of doing business. That’s why we decided to create a deck cleaner that did what it was supposed to do: clean decks, and nothing else. It’s a special non-toxic cleansing agent that gets the job done just as well as commonly-used chlorine or other harsh chemicals, but with none of the destructiveness. 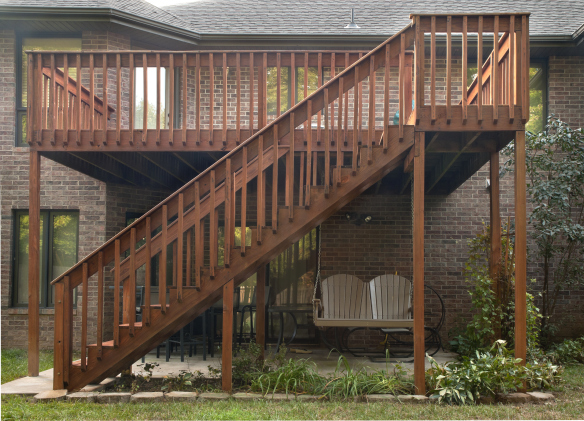 Whether your porch or deck is wood or concrete, we’ll happily take the job and renew it to its former glory. We do it our way because we’ve found it to be the best way to get the job done, and that’s what professionals do. Washing your deck might sound like a needless task. After all, isn’t that what the rain is for? However, just like you clean the floor inside your home, outdoor decks needs to be cared for. 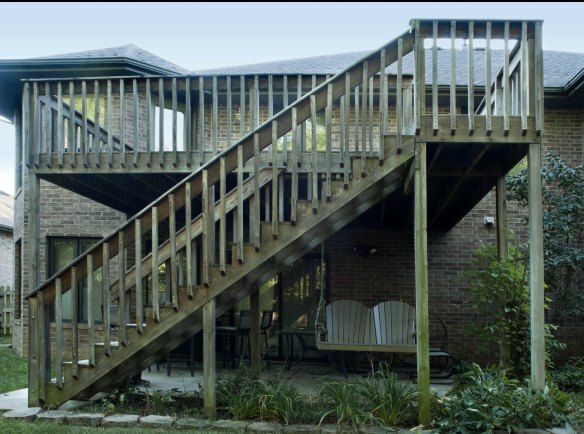 Proper deck washing lengthens the lifespan of your deck and improves its appearance. Pressure washing isn’t as easy as it looks though. Done incorrectly, it will chew up decks, kill expensive plants, and damage home siding. 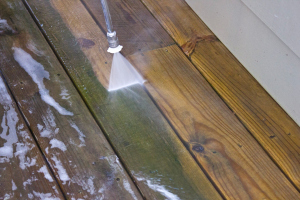 Power washing a deck properly takes a skilled hand with the right cleansing agents. With all the Do-It-Yourself projects outlined online for adventurous people, it’s easy to forget that some projects need to be done by certified, experienced specialists. **Deck pressure washing is definitely one of those projects. You’re welcome to diagnose your own illnesses too, but we’d recommend a doctor who has studied and done it before. Just the same, trust your deck cleaning to a company with a successful history in the business: ReNew Crew Clean. We’ve done it before, and we know how to do it right. ReNew Crew Clean’s revolutionary 3-step process involves washing the deck surfaces with our proprietary cleansing solution that is designed to lift debris, dirt, and the dead grey wood from your deck. Next, we wash all that away with pressurized water: strong enough to remove the unwanted wood and dirt, but soft enough to leave the lower layers undamaged. Finally, we spray the whole deck again with a sealant to protect against future weathering effects and UV rays, ensuring your deck will last longer and look better. After power washing, you’ve got a beautifully restored deck that’s free and clear of dirt, debris, and dead wood. 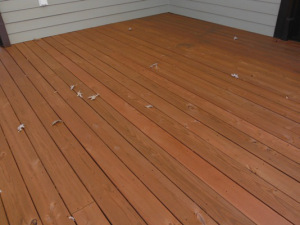 We’ve placed a protective seal over the good-looking, healthy wood that’s now the top layer of your deck. It will be more resilient to rain and snow and the fading effects of burning UV rays. That’s what we do at ReNew Crew. At the end of the day, we’re happy because we have another satisfied customer, and you’re happy because you’ve got a deck that looks like a million bucks, but for much less. Everybody wins, and that’s how we like it. If you’re interested in happiness, call ReNew Crew Clean today. We talk a lot on this blog about outdoor surface cleaning and the renewing your backyard structures. A key component that shouldn’t be overlooked, however, is the final step: sealant. 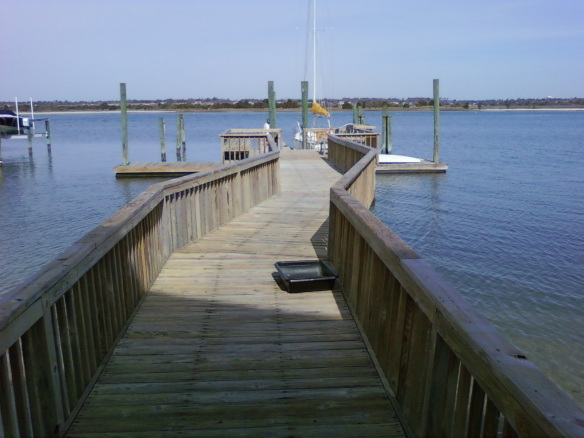 Decks must be properly sealed to stop harsh natural elements from penetrating into the wood. So what happens if you don’t seal your deck? The number one problem is moisture. As water is absorbed by wood, it leads to rot and decay. 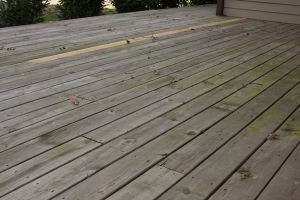 Dirt and debris can also build up in the deck’s surface if it isn’t protected in some way. Most decks need to be sealed every year or two. If you aren’t sure if your deck needs to be sealed, drop some water on its surface and observe. There are two outcomes, beading or no beading. 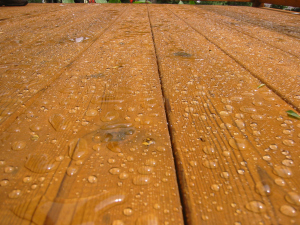 If the water beads up on the surface of the wood, your deck may not need to be sealed yet. If, the wood takes in the water, it’s time to seal. Sealants are available in a wide variety of colors and finishes, but some are better than others. Make sure to ask what it will look like and how long it will last. 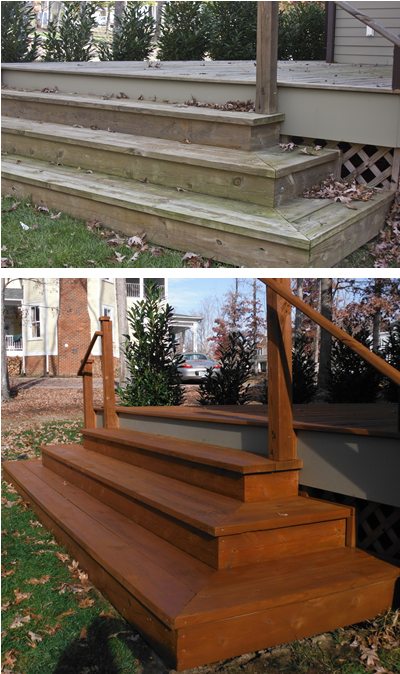 At Renew Crew, our protective finish is the finishing touch on our deck cleaning process. Our environmentally friendly finish will seal the wood surfaces’ pores so that water, dirt and grime can’t make its way in and ruin your structure. Additionally, the Renew Crew finish has special polymers that enhance and prolong the beauty of the wood. It even fights off UV rays that can dull or discolor wood decks. If you have questions regarding sealing your deck, please contact your local Renew Crew. I’m not great with New Year resolutions. The overarching themes are hard to stick with for 12 months so I take a more tactical approach. At the beginning of the year I make a to-do list for myself. I then have the next 365 days to accomplish them. 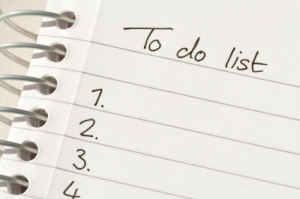 While some are easy, some are bigger projects that may take months to finish. This year, my husband and I have decided to place more importance on improving our yard. We’ve owned our home for the past three and half years. The yard we were drawn to when purchasing the home has unfortunately been a bigger job than we thought. This year we are recommitting to getting the yard in tip-top shape. We’ll be removing trees and bushes, clearing out space for more grassy areas, and enhancing our outdoor living spaces. Our house has two main outdoor living areas: a deck off of our kitchen and a concrete patio off our family room. Both spaces need some TLC. The deck isn’t very big but has seen better days. It definitely needs a good cleaning and pressure washing to get rid of some of the built up dirt since the last time we cleaned it. Renew Crew’s cleansing foam is environmentally friendly and won’t harm the beautiful azaleas that are around the deck, which is a major plus for us. Additionally, our washing method is different than a lot of other pressure washing companies. Other companies use a high amount of pressure that can be damaging to some woods, but because the Renew Crew foam penetrates deep into the wood, we don’t need as much pressure. Cleaning isn’t the only thing our deck needs. We have a great privacy fence that has built in planters. My goal is to plant flowers and herbs in the planters to fill it out and bring more greenery in the space. As for the patio, it, like the deck, needs to be thoroughly cleaned and sealed. We usually have drinks and food on the patio with friends, so it can get messy. We, by the end of the year, want that space to just be more welcoming. So there are a few ideas I have for my 2013 to-do list but I’m sure more will be added through the New Year. We are happy to announce our newest franchisees that have joined the Renew Crew team. This week welcomed new offices in Maryland, South Carolina, North Carolina and Michigan. They will be providing deck cleaning and sealing in their respective markets starting soon. 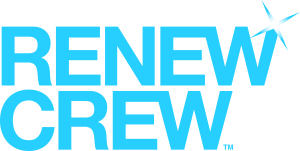 Renew Crew is a franchise company based out of Richmond, Virginia. When a new franchisee joins our team, they come to Richmond for a weeklong training process. They are thoroughly trained on all aspects of the business including marketing, sales, products, best practices and more. One of the largest parts of training is hands-on where outdoor living spaces are cleaned and protected. Our new locations are: Renew Crew of Greenville, Renew Crew of Charlotte, Renew Crew of Southwest Michigan, Renew Crew of Montgomery County and Renew Crew of Greater Columbia. 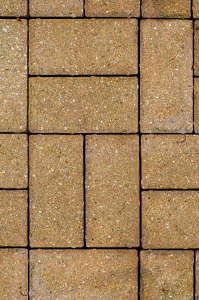 If you are interested in learning more about Renew Crew, our three-step process and how it can leave your outdoor spaces looking like new, please contact your local Renew Crew office or visit us at RenewCrewClean.com. At Renew Crew, we pride ourselves on providing our clients with the cleanest outdoor surfaces they can have. Whether it’s a deck, siding, patio, gutter or walkway, we try our best on bringing your surfaces back to life, however there is more to keeping your outdoor living spaces clean that you can do at your home. Figure out what can stay outdoors and what needs to be stored. Some homeowners think that if it’s meant to be used outdoors, it can stay outdoors all the time without damage. That isn’t the case. For example, plastic furniture tends to turn brittle if left outside all year round, so it’s important that it is taken out of the elements in the winter months. Vacuum and spot clean any outdoor cushions or rugs. The longer dirt sits on any fabric, the more likely it is to stain. Dust, pollen and dirt will build up over the summer, so take the time to vacuum and spot clean everything before storing them for the winter. Don’t cover or seal any furniture, accessories or rugs that are damp. Dampness leads to mold when not handled properly. Make sure everything is completely dry before covering or sealing it. Do some research and see if anything should be treated before the winter. For example, teak is a dense wood that repels bugs and rot very well and can stay outside all year round. It is best, however, if it is treated with an oil before the harsh winter elements. Similarly, it’s important to wax aluminum furniture periodically for it to last longer. As the winter continues, brush off anything that gathers or falls on outdoor furniture. For example, as the snow or ice melts and leaves puddles on your covered furniture, go out and knock off the standing water. It will keep your covers in better shape and stop anything from getting to your furniture. 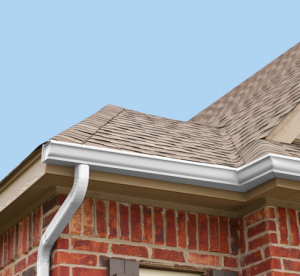 As leaves fall off the trees and onto yards and homes this time of year, it’s important to spend some time cleaning out the gutters around your roofline. When leaves and debris build up in gutters, rainwater can’t move properly away from your house and can penetrate under roof shingles. Additionally, when water sits in a gutter it becomes the perfect place for insects to breed and nest. Yuck! At Renew Crew, we pressure wash gutters to improve their appearance and make them last longer. When gutters aren’t properly cleaned and maintained, a buildup can occur in the gutter, weighing them down and weakening the coating, decreasing their life. Dirty gutters can also result in water streaks down the front of the gutters and sometimes onto the house’s façade. Renew Crew’s trained technicians wash away that build-up and leave your gutters looking like new. Depending on the trees on your property and how often you clean out your gutters, pressuring washing gutters may be needed every year or two. *Team up. Make sure you have at least two people helping with the project. One to clean the gutters and one to hold and steady the ladder. Wear the appropriate items. Shoes with rubber soles with some good traction are important. As the gutters are cleaned out, built up moisture will come out too. As the project continues, the ladder may become wet. Rubber soles will keep you from slipping. Debris in the gutters can be ridden with bacteria as insects, animal droppings and mold, so wear gloves to protect yourself. Lastly, eyewear is a must, especially as you use a hose. Debris, leaves, etc. may come lose as you clean and you’ll want to make sure it doesn’t go in your eye. Secure a bag or bucket to your ladder. Holding a filling bag or bucket in one hand and using the other to clean your gutters leaves you without a hand to steady yourself. Secure the bucket or bag to the ladder so you have one hand free. Don’t use metal scoops. Whatever you use to clean the debris out of your gutters, don’t use a metal object. The metal of the scoop can damage the metal of the gutter itself. Hose it down. After you’ve cleaned the large debris from the gutters, rinse it down with your garden hose. While it won’t remove all of the built up grime, it will wash away the smaller debris and show you if missed any clogged portions of the gutter. If you have questions regarding cleaning or pressure washing gutters, please contact your local Renew Crew office. At Renew Crew, we’re happy to help homeowners clean and rejuvenate their outdoor living spaces with our environmentally friendly cleaning process, but we do get questions from clients who wonder how they can keep that space looking cleaner longer. Routine maintenance or cleaning is key. If you want your space to look nice, here are some simple things to keep in mind. Clean off debris. Leaves, branches and other natural debris are common, especially in the fall and winter months. 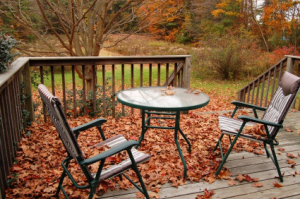 If you don’t remove them, especially piles of leaves, dirt and water can sit right there on your outdoor spaces, penetrating deeper into your patio, deck, walkway and more. Have you ever picked up a leaf and noticed the clear mark it leaves on a space? That stain becomes more apparent the longer it sits. Clean up as messes happen. When I spill something on my living room rug (I’m clumsy), I clean it up right away. I don’t want anything noticeable on my carpet. I admittedly am not as good when it comes to spills outside. I guess there is a part of me that thinks the rain will wash it away, and judging from a lot of outdoor living spaces I’ve seen, I’m not the only one with that mindset. Cleaning up messes as they happen however, will keep your outdoor living spaces looking nicer. Now, I don’t mean doing a deep deck cleaning every time you spill a little coffee, but I do mean wiping it up. Rinse off your spaces periodically. Mother Nature’s grime will get on your exterior surfaces. Take a hose to your deck, porches, patios, siding, walkways, etc. from time to time and wash away what you can. While, it may not be perfectly clean, it will wash away any loose dirt. 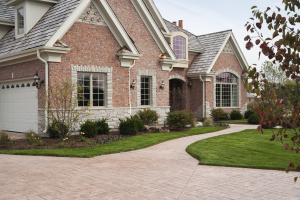 Every year or two, depending on how clean a space is kept most homeowners will need professional exterior cleaning. If you have questions regarding the best way to clean your outdoor surfaces, contact your local Renew Crew office. Welcome to the Renew Crew blog. Renew Crew is America’s most trusted Outdoor Surface Cleaner. We’re much more than a pressure washing company, we clean and protect your outdoor surfaces so they look better longer. We clean wood decks and fences, concrete paver patios, walkways and driveways, siding and gutters. The idea behind Renew Crew started over 20 years ago with our founder, Stan Krempges. He was looking for a product that would effectively clean his outdoor surfaces. When he couldn’t find what he was looking for, he decided to create it. Thus, Renew Crew was born. 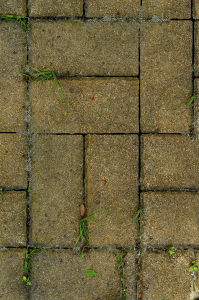 Our proprietary three step process is unlike most pressure washing companies. Most companies use bleach based cleaners that can damage the surrounding vegetation and their high-power washers can gouge surfaces. Renew Crew’s Pre-Soak foam is biodegradable and environmentally friendly. It clings to the wood, loosening dirt and killing mold and mildew. The bleach-free foam won’t hurt any bushes, trees or grass that may surround your outdoor living spaces. The second step in our process is the Renew Crew Power Clean. Non-damaging pressure is used to rinse the space and release any dirt and grime. It will make your spaces look like new without any scratching of surfaces which is common amongst power washing. Lastly, we have our protective finish. Most pressure-washing companies don’t provide any service that protects your outdoor living spaces after they clean it. We do. Our seals repel against natural elements and cover any pores that dirt likes to settle in. If you have any questions regarding Renew Crew, please contact your local office.